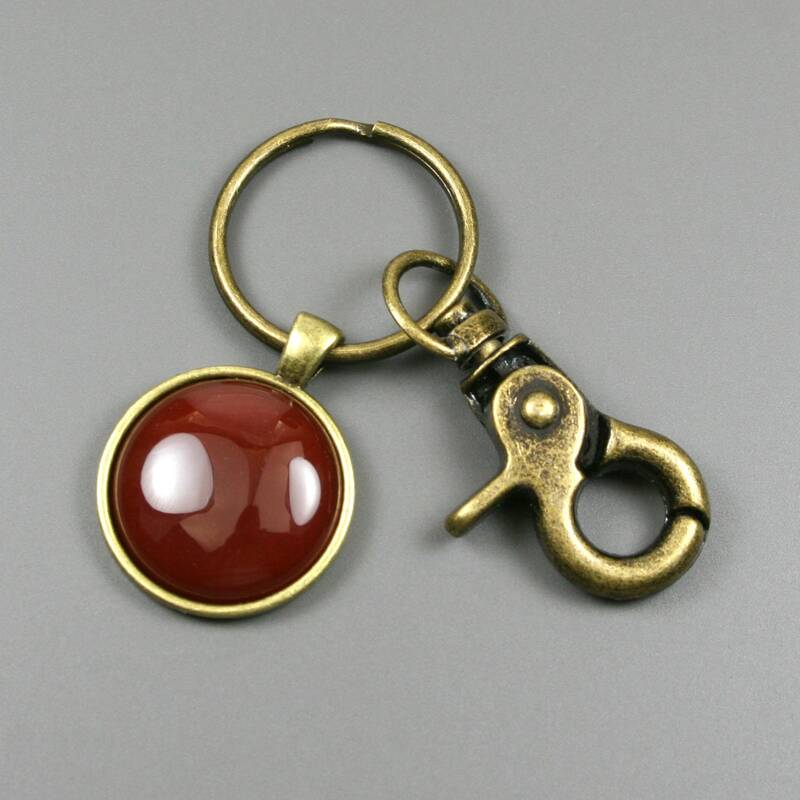 This key chain is made from a 25 mm round carnelian stone cabochon that has been set in a 25 mm round antiqued brass bezel setting and attached to an antiqued brass metal key ring with a swiveling lobster claw attachment. Carnelian is a natural semi-translucent stone with coloring that can range through off-white, orange, and deep red-orange. This particular specimen is deep red-orange. 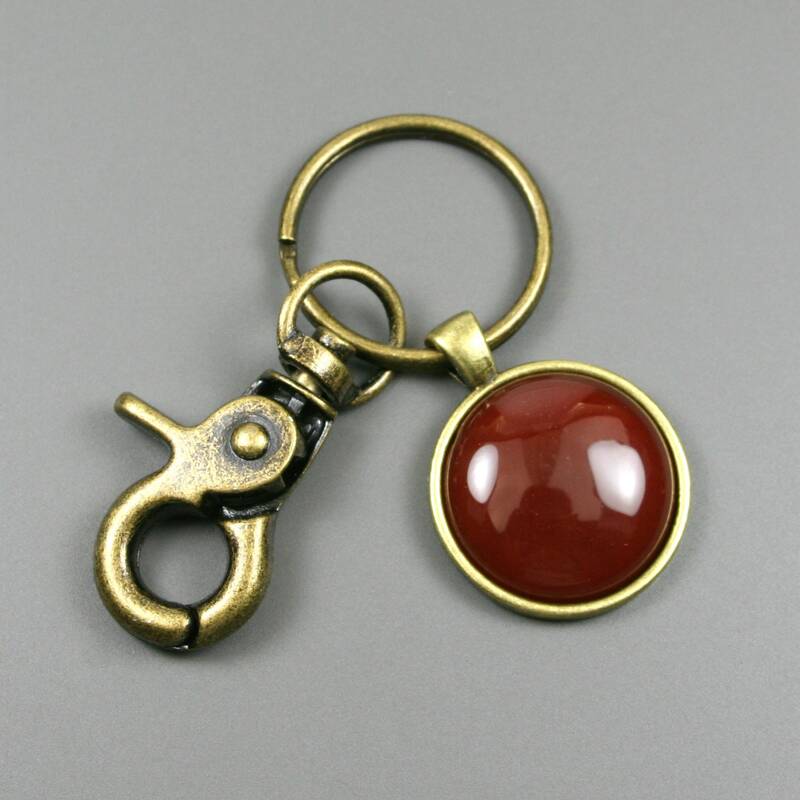 Carnelian is known for promoting creativity, physical grounding, and vitality. 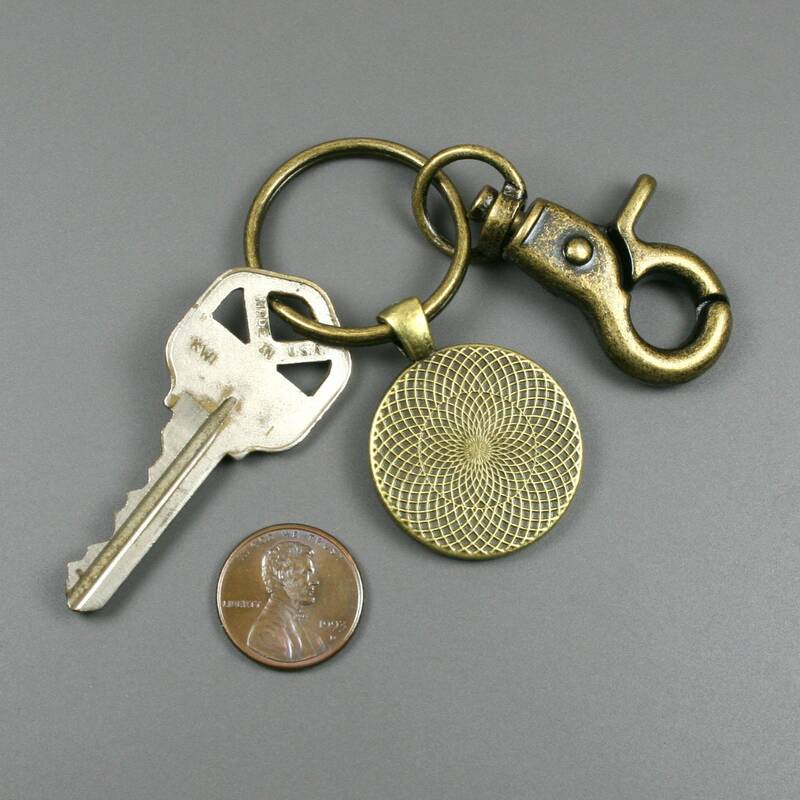 This is a brilliant little key chain! So beautiful! Thank you so much for getting it to me so quickly. I love your shop and it is going on my FAVORITE list! I recommend your shop highly.